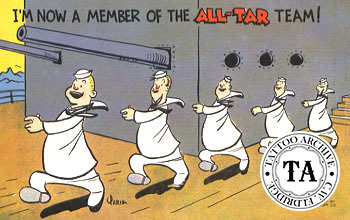 Jack Tar is naval slang meaning sailors. 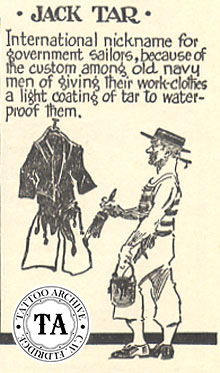 Historians believe that the name Jack Tar originated in the seventeenth century when sailors wore canvas breeches that were often spotted with tar from the waterproofing done aboard ship. There is a reference to Jack Tars in William Congreve's Love For Love (1695).